Type of managed service: Managed ICT service for all curriculum and administrative provision and service and leasing agreement for the equipment. 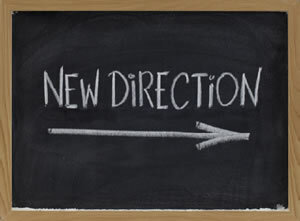 • Motivated staff and students—an increase in motivation: both for teaching staff and students. • Greater efficiency for staff—the school now has a computer in every classroom enabling the staff to do all their reports on line as well as monitor students. 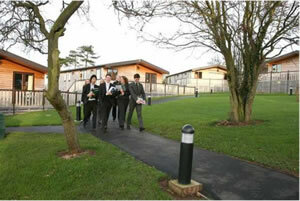 Ysgol Friars is a co-educational comprehensive school with over 1300 pupils aged between 11 and 18. There has been a school bearing the name of Friars in the City of Bangor since 1557. Ysgol Friars serves Bangor City, Anglesey and Gwynedd. The managed service was introduced in September 2004. Prior to this, the school was running equipment which was seven to eight years old, unreliable and causing huge problems with confidence for staff and students. At the time there were about 140 computers and two aging servers, with little money to spend on new equipment. 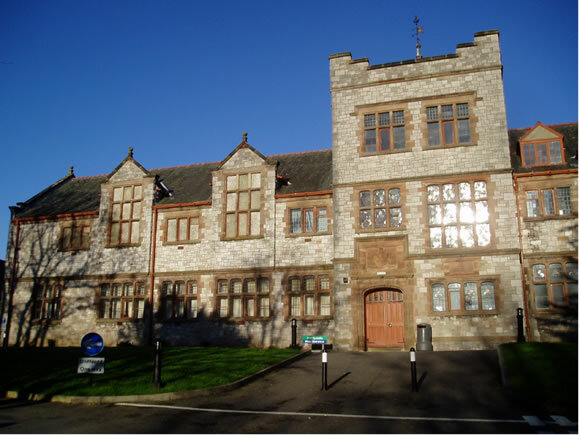 Due to continual reliability issues, Ysgol Friars recognised an urgent requirement to update or replace most of their aging IT equipment. It was determined that equipment would need to be leased to allow a step change—and the option of a managed service was considered a logical extension of this. The existing support contracts were very limited in scope and not meeting the needs of the school. Underpinning all this was recognition that pupils were not receiving the IT exposure and training they were entitled to. Solutions and options were researched by the school’s ICT team, and the governors approved a proposal from the school’s management team to lease both equipment and services. Building on the requirements defined by the ICT staff, a tender document was compiled. The school sought a company who could supply all elements of a managed service, including staff training and supply of new equipment, but who were flexible enough to upgrade existing equipment wherever practical. Equipment, software and support service components can be removed or added in an agreed contractual manner. There was some uncertainty over the implications of adopting a managed service and the school worked during the procurement to understand what the service would “feel” like day to day. The compatibility between the school staff and Gaia was an important part of the selection criteria and helped minimise the risks. It was important to keep the existing network running whilst implementing a new technical infrastructure and integrating existing equipment. This was done by working closely with Gaia’s technicians so they fully understood the school’s requirements. This phased introduction was implemented as a partnership between Gaia and the school—mainly during the summer holidays—with the technician focused on re-imaging existing systems and doing routing maintenance. This was the start of the introduction of BECTA’s Framework for ICT Technical Support (FITS) processes by the technician. The need to buy in the managed service arose from equipment being old and unreliable. The most immediate tangible benefit was an improvement in the reliability of the equipment. Existing computers that met the agreed minimum level (about 120 in all) were upgraded. Those not meeting the specification were disposed of by Gaia.Students now have a greater choice in how they learn, and the school can offer them a greater choice in what they learn—relying on a reliable network and increased number of computers. This has translated into more motivation in learning. This increase in use and confidence is in turn leading to increased demand for ICT from staff and students. IT is anticipated that the leasing and managed service model will provide an affordable and sustainable means of meeting this demand. Gaia has offered the school an online service help desk which is FITS compliant and follows IT Infrastructure Library (ITIL) as a system of best practice. A help desk is imperative in order to keep track of repairs and work requested and undertaken around the school. All staff are kept informed about processes and timescales of work carried out. All staff have access to information regarding the progress of work. Proactive monitoring of the network by Gaia is part of the managed service. Monitoring systems alert Gaia’s support staff to potential network problems, enabling them to take corrective action. The school also received two weekly visits from a support technician during which he inspects the network and attends to any issues. Gaia installs any new equipment and software and provides training on its use—reducing the risk for the school of introducing new technologies and software. The school now has a strong baseline ICT facility with reliable equipment and a consistent look and feel. The school can now look at introducing new technology. The learning platform is work in progress and the school is keen to introduce this in order for the pupils to have out of hours access to the network and to learning materials. Increased use of ICT facilities has put more pressure on existing rooms/suites and consequently laptop suites were added in 2005 and 2006. The need for more space for extra ICT equipment has led to more use of wireless, personal digital assistants and laptops around the school.